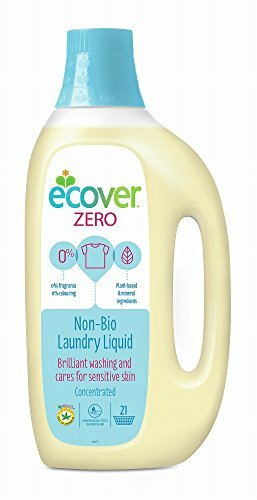 Ecover Non Bio Laundry Liquid - 5000ml: For brilliant results on all your white and colourfast laundry, Ecover Non-Bio Laundry Liquid is ideal for the whole family. It tackles a whole variety of stains, even at 30 degrees, whilst respecting your family's skin. Suitable for septic tanks, not tested on animals, fully biodegradable. For coloureds: use 2 1/3 capfuls per machine load of normally soiled laundry and medium hard water (4 to 5 kg dry washing).